I spent the last day of the year walking the grounds of Yorkshire Sculpture Park. One of my favourite day trip destinations. 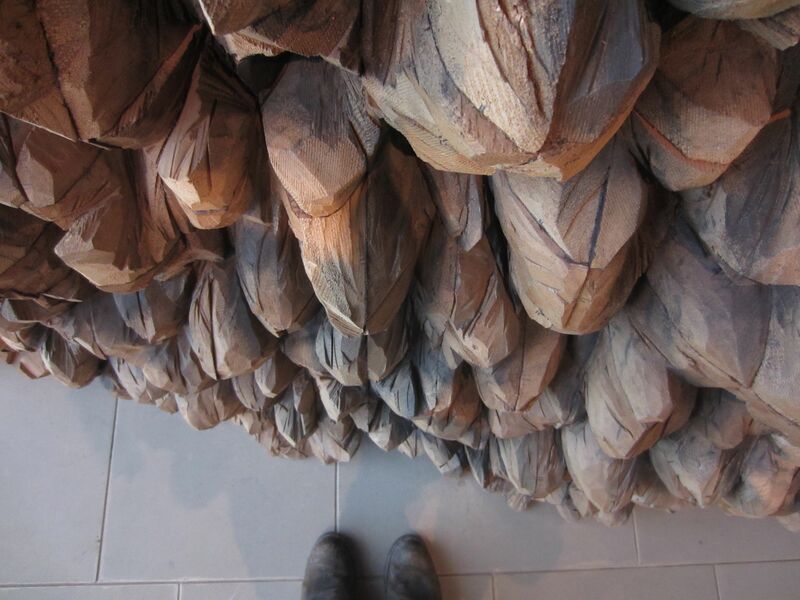 I’d been led there unknowingly, I hadn’t known what was showing and so I arrived at the work of Ursula Von Rydingsvard with few expectations. I’ve never even heard her name before. All the better for being wowed and wowed I was. The show finishes on the 4th January, so if you happen to see this, like large wooden sculpture and have a day spare now, go visit. I’ll post more after that. May the new year be full of wonderful surprises and glimpses of genius that get your minds and bodies whirring into action.